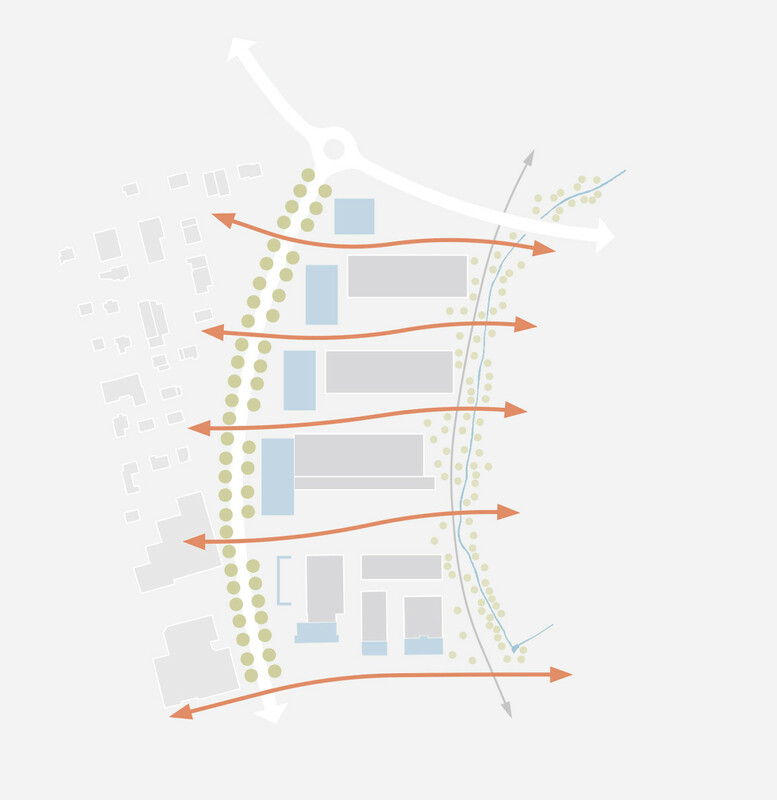 The new tree-lined Industriestrasse becomes the new entrance to the city of Zug. In the future, its eastern side will be lined with public buildings. 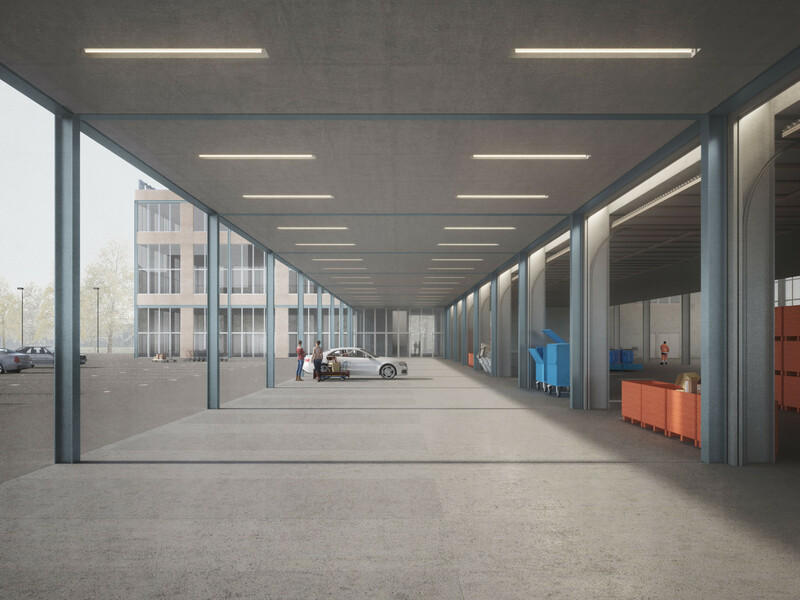 The new building for the recycling center of the city of Zug lays the foundation for this new role of the future main axis and stands for the exemplary urban upcycling strategy of the city of Zug. 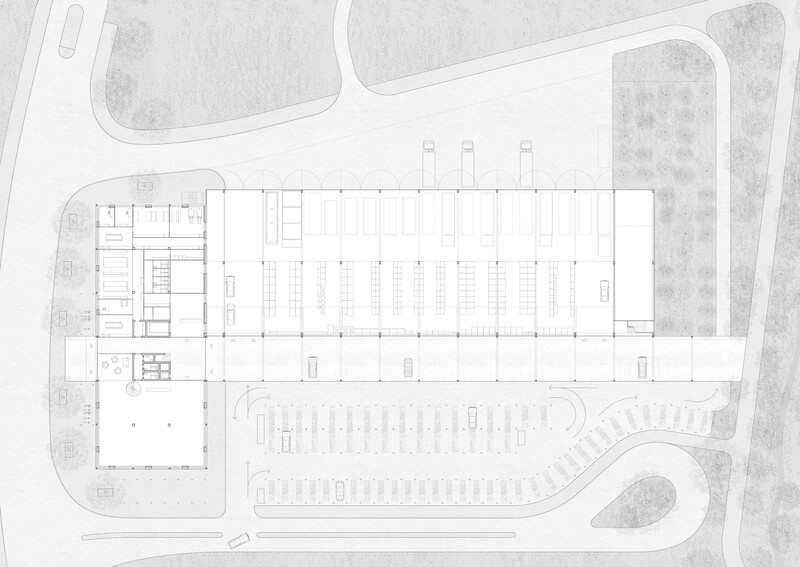 It is housed in a compact new building that conveniently combines all uses in two simply structured sub-volumes under one roof. The volume flanking the Industrietrasse has an urban character. 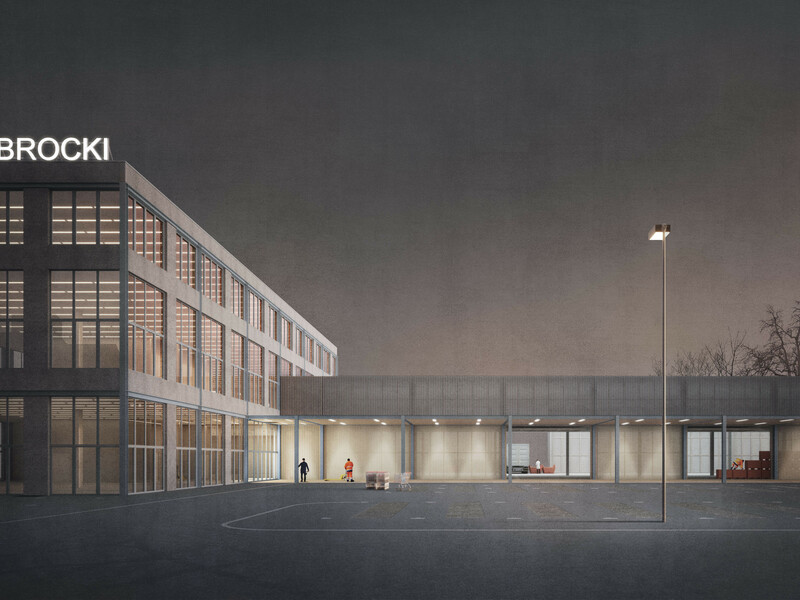 By placing the shop windows and the work areas directly alongside the street, a direct link is established between the public and the new recycling center. Prolonging the entrance area, an extensive colonnade leads further into the site and serves as the customer area of the Ökihof. In parallel, the Ökihof is arranged at the rear as a functional production hall. The large, flexibly usable common courtyard is located inside the compound. All uses, entrances and entryways are clearly grouped around it. It accommodates all parking spaces and thus guarantees a maximum of synergies. This ensures a high degree of flexibility - also for future requirements. The division of the programme into a heated and an unheated building creates many synergies between the three units and ensures minimum operating costs. 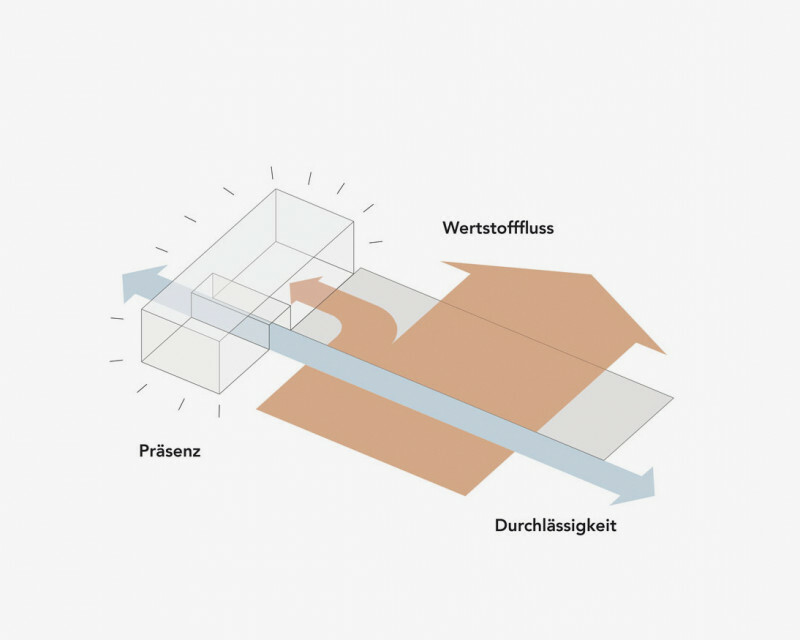 The spatial organization offers an ideal framework for the workflow for collecting recyclables: on the south side, recyclables are delivered, re-sorted and grouped under the storage gallery and prepared for transport in large containers and compacting troughs in the high container hall. The entrance from the road also offers a clear address to those unfamiliar with the area, and the colonnade can also be reached directly from the cycle path on the Grossacherbach. The representative and public front facade is both robust and durable, with a façade made of curtain-type recycled concrete slabs. The load-bearing facade structure made of recycled steel profiles continues throughout the colonnade. It serves as the interface between the Ökihof's customer and operating areas. The building is designed as a cost-efficient steel construction industrial hall that features a surrounding facade cladding of perforated profiled sheet metal. Recycling Center Zug Status: Selected competition entry (1. Rang), currently in progress. 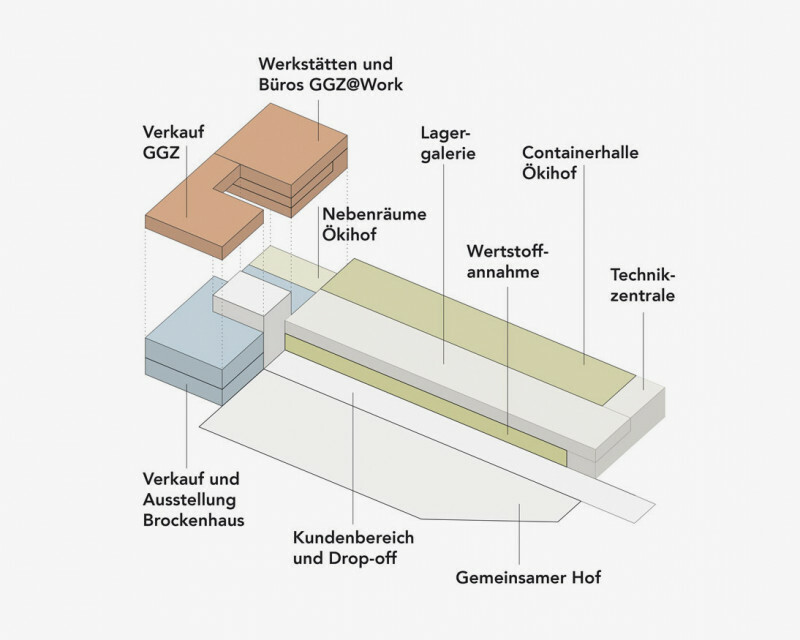 Programme: Recycling center with collection and sorting of recyclable materials (Ökihof), second-hand shop (Brockenhaus) and building component exchange (Bauteilbörse). Location: Zug (ZG). Schedule: Competition 2018, Planning and Construction 2019 – 2020. 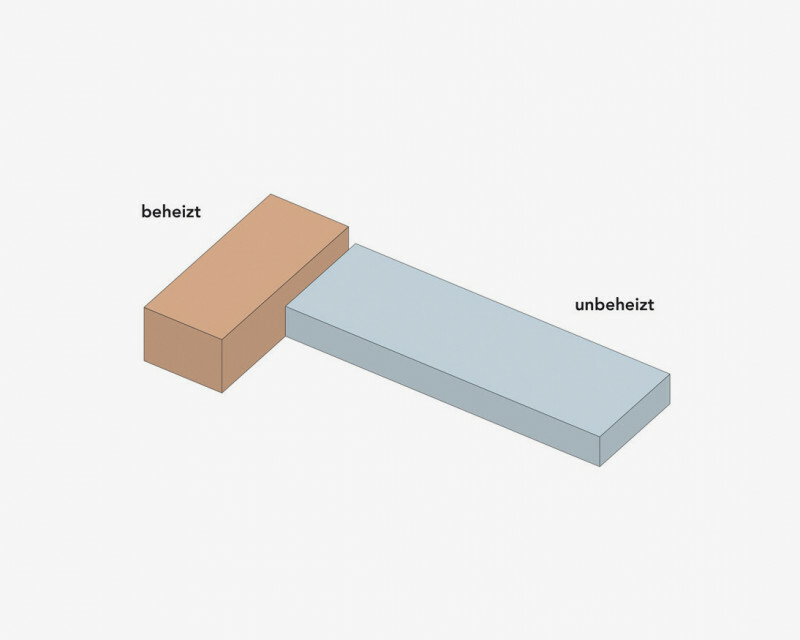 Architectural Design: Michael Wagner and Marcella Ressegatti. Landscape architecture: Sima Breer. Renderings: Zünd Zuerich. 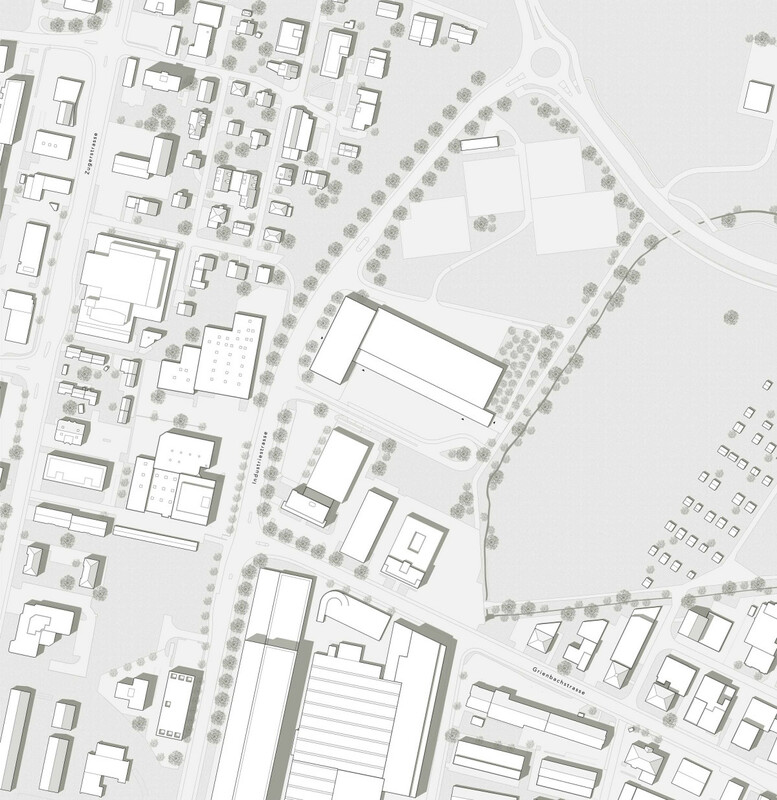 Client: Public works office, City of Zug, Urban Design Department. Collaborators: Michael Wagner, Raphael Vanzella, Milo Strub.